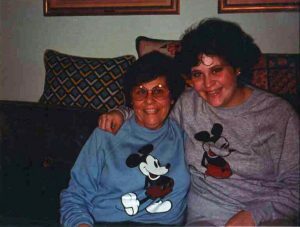 This piece originally appeared at TheCaregiverSpace.org. “Have courage and be kind” is one of those wonderfully memorable movie quotes to live by that is so simple yet so profound. In the 2015 action version of the Disney film, Cinderella receives this advice from her dying mother. My husband, Ben, was truly courageous in how he handled his ALS throughout his six-year battle. He pushed himself to keep doing things like walking, using his computer and eating until he absolutely could not do them anymore. It helped him emotionally and, I believe, physically, too. I was his hands at times, and his mouth when his speech became impaired. He maintained a good sense of humor, especially when I got creative with the food processor to make meals for him when chewing and swallowing were difficult. People also called me courageous and it never resonated with me. I didn’t have to deal with that disease and dying. 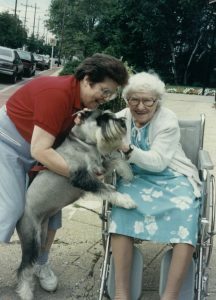 But, I’m finally realizing that as caregivers, we are, indeed, courageous in dealing with the many changes in our lives and in the lives of our loved ones, and in helping them deal with these changes. We compassionately provide care. We provide comfort and cheer when they seem out of reach and hard to feel. We have conversations that are so difficult about things we wished we would never have had to consider. In my case, I had to face a future that would not include Ben. But, so importantly, we need to be kind in the midst of these very stressful and emotional situations. It may seem obvious, but it isn’t always easy. From our own perspectives, Ben and I were both overwhelmed by the amount of help he required, the way his world was shrinking and how our lives were changing forever. Our relationship was shifting from husband and wife to patient and caregiver, and that did not come easily. We didn’t always handle it graciously. Our feelings got hurt, our patience was tried, our moods sometimes were sad and depressed. There were times when I wondered what happened to my kind and loving Ben. To be fair, I’m sure he felt the same way about me. Sometimes we would try to talk it through, and sometimes it was just too difficult. Something would bring us to a loving center–and it was usually something simple, yet kind–a smile, a thank you, or when he couldn’t speak any longer, a long blink, which was our sign for a kiss. I still have to remind myself that ALS affected Ben in so many ways and that underneath the difficult behavior was my real Ben and his real Abby. 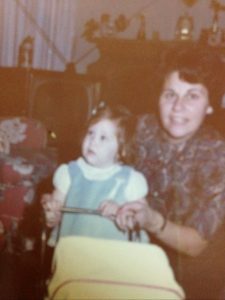 The rough times often made me question whether I was a good enough caregiver, and that has stayed with me. I got angry that he did not express appreciation for and was very critical of my caregiving at times, but then got angry at myself for thinking that my feelings were important relative to his needs. Then, I questioned if I deserved any appreciation because maybe I was not doing a great job. I have been reminded frequently to be kinder to myself. Maybe my courage is now found in facing the memories with love but also with honesty. In addition to the dynamics of our relationship, there were the times we had to deal with various professionals regarding his care. These were not necessarily medical professionals. They were often administrators who advised on health insurance and financial paperwork, or a variety of social and other services. There were so many questions, such confusion, and overriding fear about his future. We both had to courageously persist to ensure good care and financially sound advice. Some people were kind and helpful, and others were not. My dad taught me long ago that you get more with honey than with vinegar, and kindness did come in handy, even in keeping me calmer, though it did not necessarily lead to better information. That was a constant struggle. But, when things are not going very well, and you are tired and scared, and you feel like you repeated yourself too many times and are not getting any useful help, being kind does take a lot of effort! Maybe it seems odd to say that at times I had to remind myself to be kind. After all, I like to think of myself, as I think many people do, as a kind woman. But, when you’re not at your best, physically and/or emotionally, kindness is not always the first quality that comes to the surface. I do know that with Ben and me, when we stopped to remember the love, especially when we were frustrated to tears, the kindness did invariably come through in the caring. And, it made things better. Cinderella’s mom gave her very good advice! I call that kind of inspiration pixie dust for caregivers (and for everyone else, too). Ben and I loved all things Disney, and as a caregiver and in grief, I found much comfort in quotes like this one. And, by the way, I thought this was a beautiful remake of the animated version. I think most of us have gone through periods when we wish we had a fairy godmother. Come on, admit it! 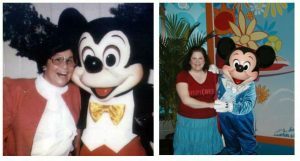 It’s possible that it was more frequent for me when I was a caregiver and Disney was my escape, but whimsy and dreaming are key to who I am. There have indeed been people in my life who have stepped in and brought some pixie dust or “Bibbidi-Bobbidi-Boo” into my life, and sometimes they have come from unexpected places. 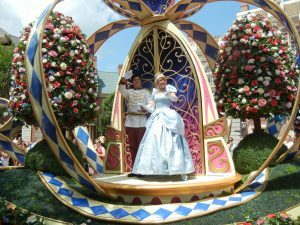 But, when I have a setback in my emotions, as is happening now, I just wish I could summon Cinderella’s fairy godmother to cast a spell and make it all better. This past week brought all the tension that most teachers feel as summer winds down and we get ready to get back to the grind. It also brought back the sadness of last year’s bad memories. After spending the entire summer in the hospital, Ben died just a little more than a week before I had to return to school and I was completely unprepared to face the turmoil that teaching in the public school system brings (which could be a whole blog of its own!). The school year began and I went through motions and did my job in a sort of a fog, but I was not coping well in my personal time, and I spent much time crying or staring into space. This summer I finally had time to relax and invest time in myself and work through some of my grief. I’ve been proud of my slowly growing ability to enjoy and participate in life, though my memories of Ben and my dad remain a big part of everything I do. Given all of this, I wasn’t prepared for the crash of sadness and loneliness in recent days. I can’t seem to stop thinking about where I was at this time last year and I’ve been losing the battle to fight those memories. It’s the ups and downs of grief that are impossible to predict and exhausting to reconcile within myself. I recognize that it’s progress to be more aware of and engaged in the world around me. As I’ve written in prior posts, I do see more glimmers of optimism and desire to move forward. But the waves of sadness and bad memories hit hard. I get angry at myself for giving into the depression. I’ve been through grief enough times to know that this will pass, but will likely happen again because I cannot anticipate the triggers. 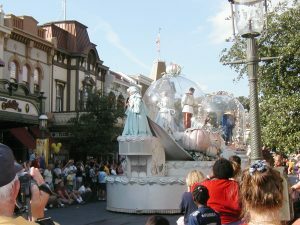 But, at these times I wish I had a fairy godmother to wave her wand and make everything peaceful and happy. 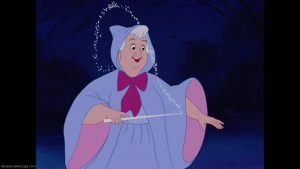 I surely wish a “Bibbidi-Bobbidi-Boo” would make the school year go smoothly, but I’m not sure that even the Disney-est of fairy godmothers could tackle that! Wish me luck! “Time Passed and Pain Turned to Memory.” True? 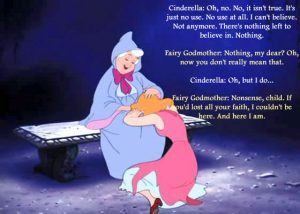 The narrator says this in reference to Cinderella’s grief over the loss of her mother. Only a few days ago I posted a video slide show of favorite memories of Ben. One year is a significant marker of time for me and I was very uptight as I anticipated the sadness that I did indeed feel when the day arrived. I don’t know what I expected to happen after I hit that marker, but I woke up the next day feeling so sad. I still feel down. Time has passed but pain has not turned to memory. Both are still quite strong. 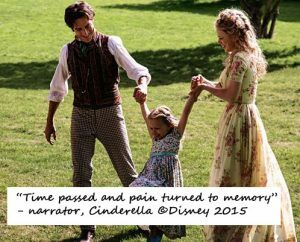 So, this quote from the 2015 Disney “Cinderella,” which was so powerful to me when I heard it and still remains with me, gave me pause and I had to think about it. I relish the happy memories and cannot shake the pain of the devastating ones. If pain turns to memory, does pain go away? Is memory really complete if it does not include the pain and the joy? Is it all a matter of time? I would think that having lost my mom, my dad and my grandma- that I would be prepared for the flow of emotions that come with grief. I still feel pain at their loss, though I admit the sharp pangs have changed. 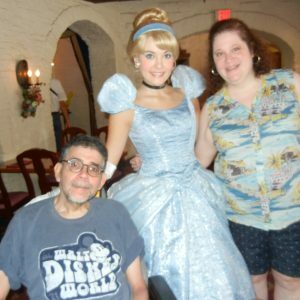 But, I think that being the daily caregiver for Ben, and seeing the excruciating challenges of ALS, left an indelible mark on who I am as a person and how I see the world. I am stronger and more resourceful than I ever thought I could be, and yet, I am as much of a crybaby as I ever was. I’ve always placed a high value on being compassionate, even if I don’t know that I showed it all the time. Ben and I also were shown a lot of compassion, and it hasn’t always come from places I expected. Through this experience maybe I have a more open mind and heart. But my heart has also been somewhat broken by the cruel nature of the disease and the turmoil it caused. Maybe time will temper all of these dramatic feelings but I feel like as time passes, pain is entwined in memory but it doesn’t turn into memory. I’m not sure of what my expectations should be of myself and how I handle my grief after a year. Should I consider the expectations people have of me and how I handle my grief from this point forward? Should their expectations influence me? If so, even if I don’t feel very different all the time, should I act like the pain has just evolved into memory? Should I speak less about Ben? Should I let people see that I still have really sad moments? Should I stop looking back? I can say that although the bad times are still ingrained in my mind, and I do get depressed, I also do feel a change within myself. I still feel the pain of losing Ben, but I can view that pain as part of sixteen years of so many memories with him, only the last six of which involve his life with ALS and mine as his caregiver. I feel a gradual shift from continuing to live within the pain of suffering and loss, to embracing the wide range of memories, and the feelings they bring, but also trying to define my new “present.” While I am struggling with frequent episodes of drifting back to sadness and dwelling on my memories- good and bad, I have also begun to at least see a “forward.” I have to fight the idea that moving forward is disrespecting Ben’s memory and our relationship. That is an uncomfortable feeling that I have to learn to accept and navigate. Pain, sadness, joy, anger- a bevy of feelings and emotions- are all part of cherished memories and I do have faith that over time they will continue to shape me and lead me towards a bright future.